A portion of our facilities remain on the original site where the business began in June 1919 along the south side of the CB&Q Railroad (now BNSF) next to Vine and Summer Streets in Monroe City. Over time, our company has expanded both west and north along both sides of the BNSF railroad tracks and we now inhabit property along both Summer and Winter Streets. Due to a tornado, our main office was destroyed in early 2006 then a new main office was completed in 2008 at the corners of Summer and Chestnut Streets in Monroe City. Sales volume for the fiscal year ending July 31, 2015 was just under $19M and we employ over 25 people in the operation. 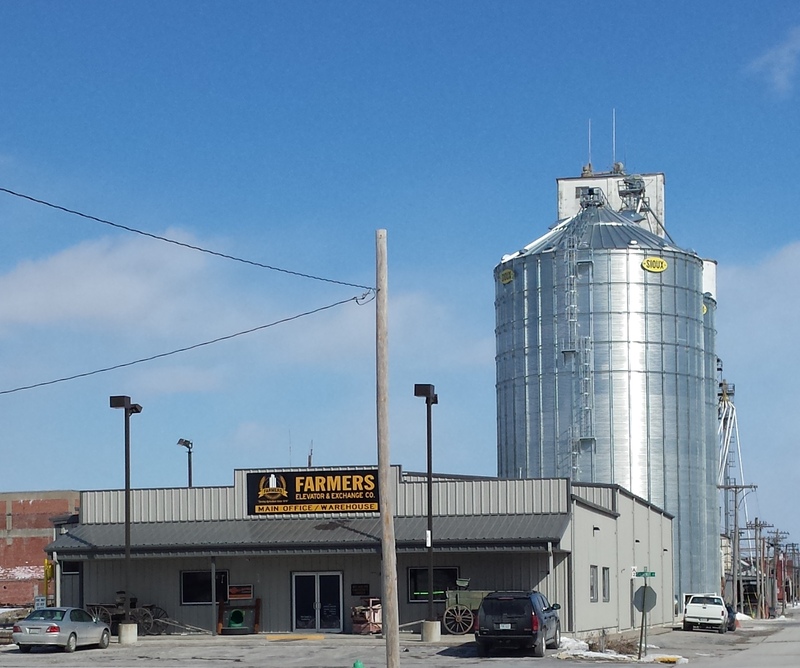 Today Farmers Elevator & Exchange Company has three core businesses: feed, grain, and agronomy. We manufacture and deliver livestock feed from our feed mill in Monroe City to livestock that is raised in Northeastern Missouri. Our grain business centers around the 160 ft. concrete elevator that was constructed in 1960 and that has remained an icon on the prairie here in northeast Monroe County, Missouri. We continue to buy, sell, store and procure grain for local patrons. Located Monroe City which has both the BNSF and the NS Railroad lines as well as both U.S. Highways 36 and 24 running through it. We offer a full line of dry fertilizer products, NH3, crop protection products and seed as well as custom application, soil testing, grid mapping and other related agronomy services to local producers who grow corn, soybeans, and SRW wheat. Our staff is ever mindful of the task of recommending products and services that will benefit our producer/owners. The team of employees we have assembled continue today as we have for 98+ years of 'Serving Agriculture Since 1919'! This photo taken in spring 2012 following acquisition of addtional warehouse space (formerly Diemakers facilities) along Winter Street in Monroe City.